Best CRC® Exam Prep On The Market? Our Risk Adjustment Coding Review Blitz videos provide a succinct and thorough explanation of Risk Adjustment that will help you bring your skills up to speed for your current or upcoming CRC® Exam. In addition to the Risk Adjustment Coding Review Blitz videos, we also provide access to the Agenda, Handouts and PowerPoint handouts. So are we the best Risk Adjustment Review and CRC® Exam Preparation on the market? We certainly think so. And after comparing our value-packed ‘extras' and price, we're certain you will too. 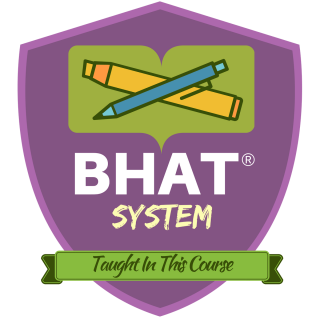 BHAT® (pronounced ‘bat') stands for “Bubble, Highlight and Annotate Technique“. This is a proprietary system, which is used in connection with our educational services, created by Laureen Jandroep in 1999 that uses bubbling, highlighting and annotation techniques to help students quickly find key answers in their manuals during the open book CPC® exams. 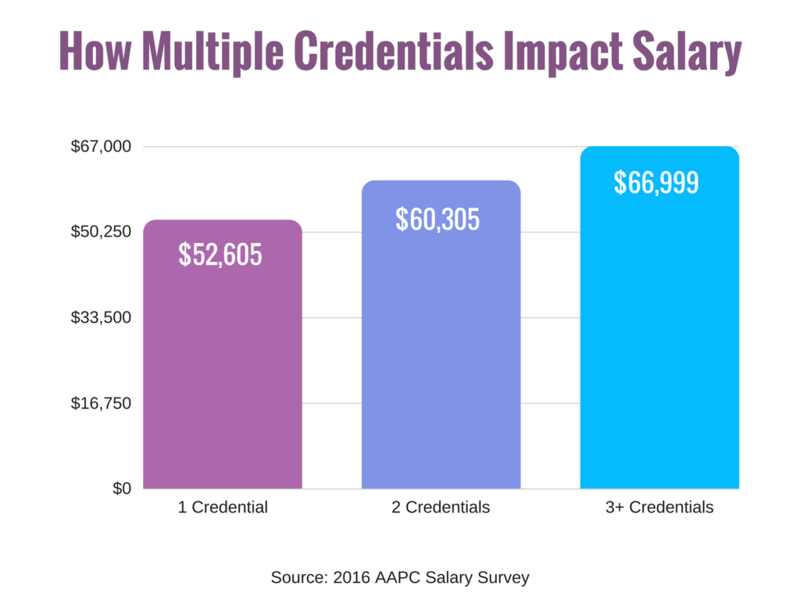 A recent salary study by the AAPC revealed that the more AAPC credentials you carry, the higher your salary. It's also common for peers to place greater value and trust on individuals with more credentials. In case you're curious, here are the average salaries for medical business professionals with one, two and three credentials. We include 9 months of continuous access to the course. If you decide to take a break, you can always return anytime during those 9 months to pick up where you left off. The Blitz reviews are designed to review key concepts and keep out the fluff. The Medical Coding Review Blitz is our main review and covers coding concepts. 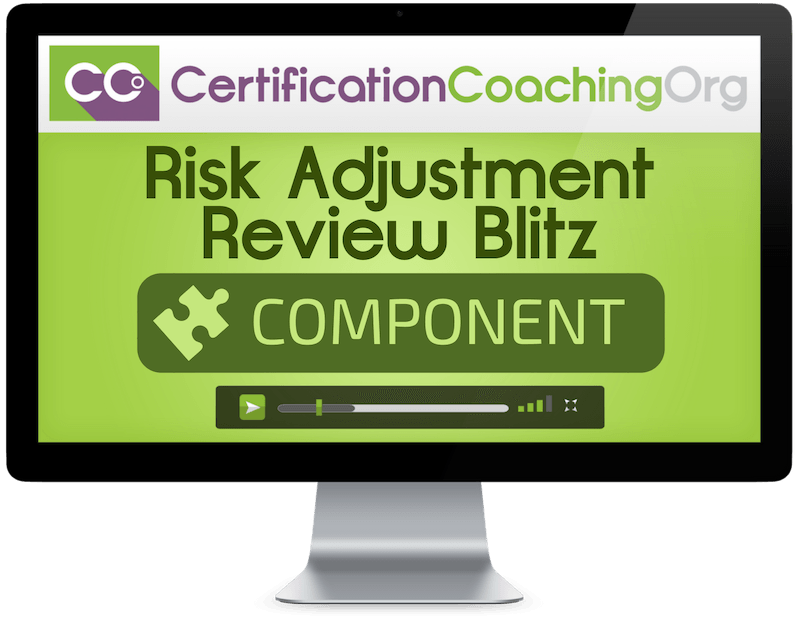 The Risk Adjustment Coding Review Blitz covers all the other exam competencies. Chandra has over 13 years coding and auditing experience and holds many certifications through the AAPC and AHIMA. She is a National ICD-10 Trainer for AAPC and served as a representative for the Great Lakes Region on the AAPC’s 2013-2015 National Advisory Board. She offers extensive experience in centralized billing, family practice, cardiology, GI, mental health, anesthesia, and multi-specialty environments. 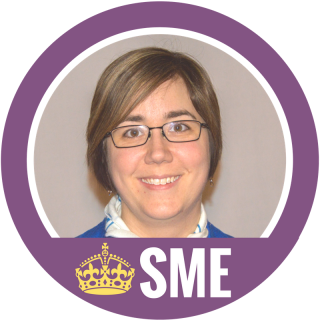 She has worked as an adjunct college instructor in medical coding, a compliance auditor for one of the largest healthcare systems in Indiana, and as a Big 5 consultant. Alicia has been working with medical coding for almost ten years. Through the years she has held several jobs in the medical field from, CNA, EMT, Pharmacy technician and Medial Records Abstractor and Analyst. She joined the AAPC and became certified as a CPC® in 2011, a CPC-I® in 2013 and a CRC® in 2015. As a busy Compliance and Audit Director as well as a consultant, I have very little free time available to pursue academic endeavors. So, I chose to try your Risk Adjustment Coding Blitz to prepare for my certification exam. To say I was impressed would be an understatement. I simply purchased the program, viewed the videos, read the study sheets and took the practice exam. After this, I took the CRC® exam and passed with flying colors. I will definitely go with your program in my future certification training. Thank you. Invest In The Risk Adjustment Coding Review Blitz Today! 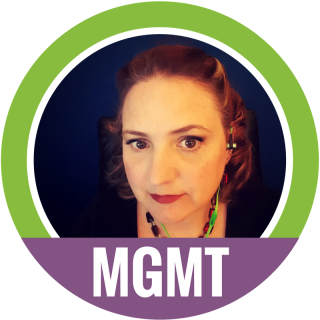 Are CEUs included with this Review Blitz? Unfortunately, CEUs are not included with this Review Blitz. This change was made effective on November 8th, 2018. We only provide CEUs inside the CCO Club which is not included with this Review Blitz. If you'd like to earn CEUs, please consider joining the CCO Club. Is there a textbook included for the Risk Adjustment Coding Review Blitz? No. Students will need to supply their own ICD-10-CM manual. When will the Review Blitz be available for viewing? This Review Blitz is already complete and live. You can watch them immediately after ordering. Is the cost of the AAPC's certification exam included? No. You will need to purchase the AAPC exam directly from the AAPC website. We recommend this for certified coders but if you have a solid coding background you would be fine to take this Review Blitz.